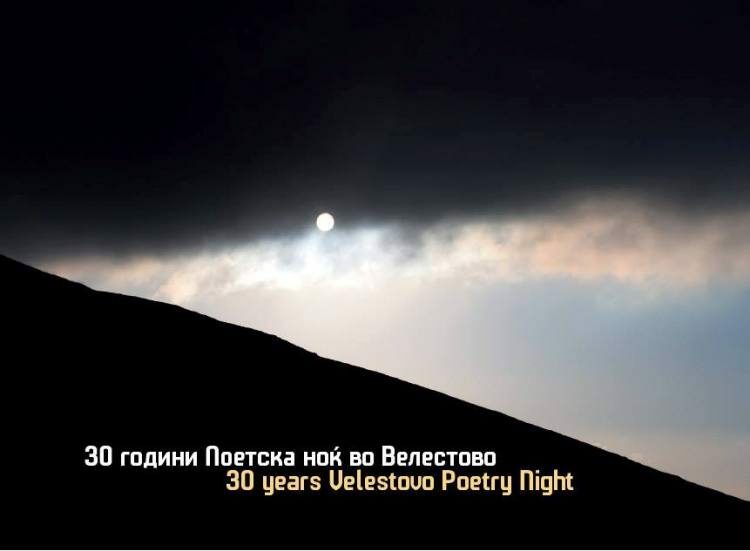 Ohrid’s Grigor Prlichev university library will host a book launch for the newly released 30 years Velestovo Poetry Night on Tuesday. Linguist and writer Dimitar Pandev will introduce the monograph dedicated to the poetry and art festival’s thirty years of existence. Produced by Velestovo Poetry Night organizer Slave Gjorgjo Dimoski for PNV Publishing, the book contains photos chronicling the festival’s history. It also features a poetry selection edited by poet and critic Sande Stojchevski. Past participants of Velestovo Poetry Night include poets Petre M. Andreevski, Bogomil Gjuzel, Jovan Koteski, Mateja Matevski, Radovan Pavlovski, Ante Popovski, Mihail Rendzhov, Rade Siljan, Vele Smilevski, Gane Todorovski, and Risto Vasilevski. The festival has also hosted painters Rodoljub Anastasov, Sergej Andreevski, Gazanfer Bayram, Gligor Chemerski, Vladimir Georgievski, Stefan Hadzhi-Nikolov, Boro Mitrikjeski, Vangel Naumovski, Jordan Manasievski, Kole Manev, Slavko Ulevche, and Emil Shulajkovski. The book launch is organized by the Municipality of Ohrid as part of Prlichev Orations, the annual event celebrating Macedonian poet Grigor Prlichev (1830-1893).